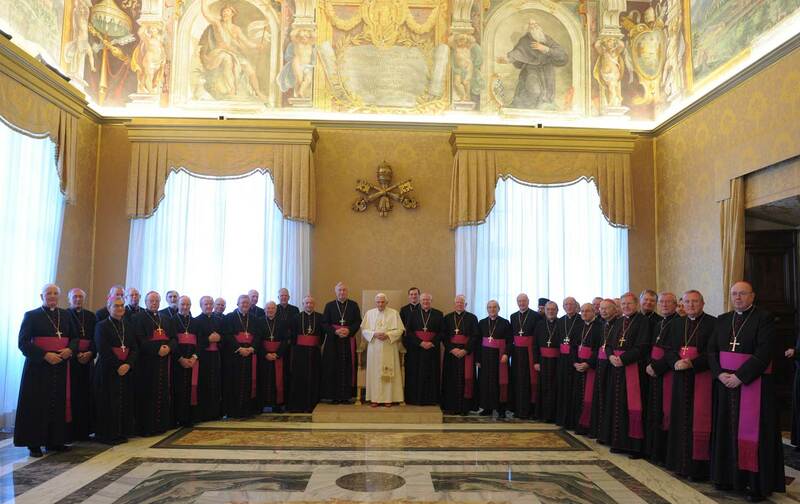 The bishops of England and Wales have been in Rome this past week for their ad limina visit, and on Monday they met with the pope who spoke to them about various issues. The full text of the address is here, but I would like to emphasise a few elements below. The bishops of England and Wales with the Holy Father. Photo courtesy of L'Osservatore Romano. The pope refuses to allow the Church to fall back on herself, safe in her own little world. There is a duty to make knows the truth in the Church to those outside it. The part I bolded is an indication of how sharp the pope can be if he wants to get his point across.. Disagreement for the sake of disagreement has no place in a debate, although too often it is heralded as that much-lauded and often misunderstood freedom of speech. Yes, we have a right to voice our opinion, but that does not free us from the obligation to think it through or deal with any consequences of what we say. That is such an enormous risk in a society which has virtually no sense of sacrality left. We don’t recognise it when we see it, assuming we even see it at all. When a priest is seen as merely a functionary, we ultimately diminish the very essence of all of God’s gifts to us, because we don’t accept them for what they are. As for that last point, Anglicanorum Coetibus is having an effect on the papal visit to the UK in September. Apparently, Queen Elizabeth II is miffed about the pope’s initiative to open the doors to Anglicans who want to return home to the Catholic Church. After all, the queen is the head of the Anglican church, so she is not amused that the Holy Father has made it easier for members of her flock to leave and swim the Tiber. She cancelled the planned dinner with the pope, which to me seems a bit childish. The Queen’s government officially invited the pope, which means essentially that the Kingdom did, and now the personification of that Kingdom seems to back pedal a bit. Well, whatever happens, the papal visit to the UK looks to be stormy. There is a lot of enthusiasm, but the opponents are, once more, very loud. In the process of becoming an active Catholic blogger, I have been introduced to a fair number of colleagues, so to speak: people who are Catholic and blog about their faith and the Church. Sometimes they are diarists writing about their personal experiences, sometimes professional theologians or priests and sometimes knowledgeable lay people. Any combination of the above is also possible of course, but I want to focus specifically on the latter group: the knowledgeable laity. These are often devoted Catholics who know their way around theology and liturgy, the world Church and their local parish. As such they can, and often will, connect what happens on the local level to the greater theological trends and events in Rome, as well as Church history and dogma. And that is good. The individual parishes and dioceses aren’t separate but, to paraphrase yesterday’s second reading, members of one body, and the body as a whole is the deciding factor of the actions of the members, even if sometimes unconsciously. These knowledgeable lay bloggers have an acute awareness of the connection between members and body, and vice versa. And that is perhaps especially so when something disturbs that connection, when a member does not fit in well, or does something that is harmful to other members or the body as a whole. In the Netherlands there are many instances, past and present, of such a disruption, and these pop up in the media every now and then. Parishes coming up with homemade liturgies, priests or pastoral workers spouting non-Catholic theology, and they often do it without knowing it. In a diocese the bishop is ultimately responsible for making sure the members – faithful, priests, parishes – under his jurisdiction are healthy and function well. The bishops of a Church province are gathered in a bishops’ conference and this conference is called to Rome regularly – theoretically every five years – in a so-called ad limina visit. In Rome, they meet with curia officials and the pope to discuss the specific events, positive and negative, in their Church province. Often, the conclusions of an ad limina visit are collected in a document, and the bishops return home with, literally, a mission. It is but one of the means through which the body of the Church makes sure its members are healthy and function properly. It may sound horribly clinical, but in a gathering as large as the Catholic Church, clear regulations are a boon. 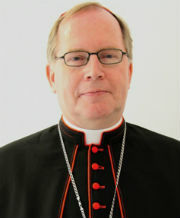 The Dutch bishops last visited Rome in 2004, so the next visit should have taken place last year. However, the five-year minimum is somewhat flexible due to time constraints of pope, curia and local bishops. The next ad limina visit of the Dutch bishops will, however, not be far off. There are also other ways for members and body to function properly. The members themselves may detect a disturbance and alert other members and the body. They are often closer to the action, after all. But what is the best way to follow this route? There are members of the group of knowledgeable lay bloggers who take it upon themselves to alert other members, specifically other faithful, the bishops and the rest of the magisterium. They do so through blogging about illegal developments in parishes and dioceses, collecting reports of individual infractions or dubious developments, and sometimes hinting at plans to send it to Rome on the occasion of a future ad limina visit. On one level it does. It makes people aware of what goes on, and why certain developments are not good. Awareness of the problem is essential when you want to find a solution. On another level it does not work; the bloggers’ tone and emphasis on the negative will put people off from either the blog, its author or, worse, the bishops responsible and the Church. Then you end up with members operating outside the body. Too often, the blogs in question paint pictures of faithful, priests, pastoral workers and bishops that are not favourable, to put it mildly. They say the responsible parties do nothing, keep their eyes closed. Sometimes such criticism is justified, but not when the goal is finding a remedy to the problem. In the Church we have bishops and priests to act as shepherds of their flock, to lead them and do what is necessary to keep the flock together and on track. 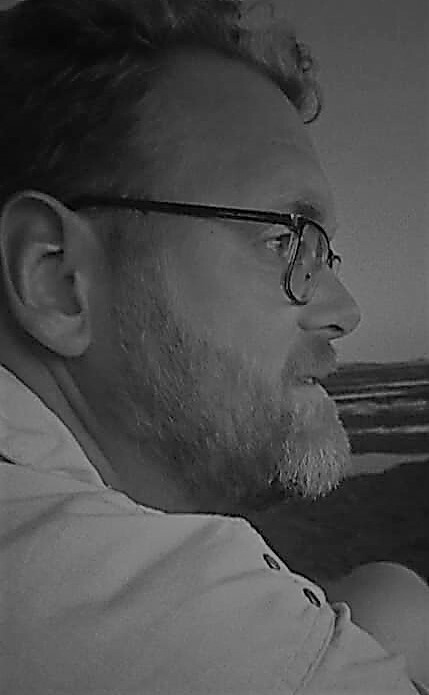 The flock does not decide what, when and how a shepherd will act, although a good shepherd looks at his flock’s signs and bases his actions on that. The approach I outlined above is basically a case of sheep trying to taking over from the shepherd. An oft-heard complaint is that a bishop does not act, or not soon enough. I would say that not all actions of a shepherd are, or should be, public knowledge. Deducing that something goes wrong in a parish does not mean that the bishop sits back and condones it. Maybe he is working on finding a solution, or perhaps he is waiting for an official report which takes time. Outside the diocesan offices there will be little indication of that. But the fact that we can’t see through walls does not mean that nothing happens behind those walls. We will see and hear once a door or window opens. The approach of documenting the abuses and disturbances online and suggesting a lack of action from the parties responsible is ultimately incomplete and wrong. It creates a certain measure of critical questioning, to be sure, but also frustration, antagonism, polarisation and a misguided sense of influence (a few hundred page views per day and a hundred followers of Twitter do not mean you have the ear of Rome), but does not lead to concrete solutions. In my opinion any lasting solutions can only be achieved through and by the body of the Church as a whole, so through the hierarchy as it exists. 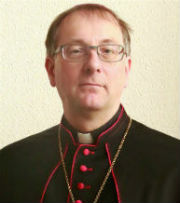 Bishops and other responsible persons must be made aware of abuses, but can’t be left out of any debate or discussion. It is the duty of the reporting party to ask directly for answers from the responsible party. Simply throwing it online and expecting a bishop to read it and come running with a solution does not cut it. Neither does ignoring said bishop and hurry to tell his superiors, or paint a picture of him. I often get the impression that people see priests and bishops as mere appointed officials in the bureaucratic system, and not as the ordained members of the Church of Christ. Through their ordination they have the obligation and ability to teach and shepherded, but also the right to our obedience. The pope, the bishops and the priests have the power to lead and manage us in the name of Christ. Through them we received the merciful life through baptism, they give us the bread of heaven and raise us to be children of God. In Christ’s place they are our spiritual fathers. We must honour them, love them and obey them. If we do not agree with them we must keep that to ourselves. It is not honourable for a Catholic to openly protest the authority of the Church. 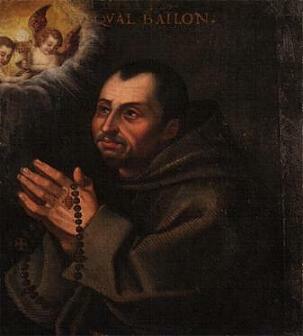 An obedient child of the Church ideally offers his displeasure in prayer, and returns to his religious duties, which is to sanctify his soul.